Security researchers say hackers infected tens of thousands of computers from the Taiwanese vendor ASUS with malicious software for months last year through the company’s online automatic update service. Cybersecurity reporter Kim Zetter revealed that one of the world’s largest computer manufacturers, Taiwan-based ASUS, had mistakenly installed a backdoor program dubbed “ShadowHammer” onto the computers of thousands of customers after hackers infiltrated the company’s automated software update system. Experts offering initial estimates suggest the trojanized update may have affected up to half a million Windows machines. Kaspersky reported 57,000 users of ASUS’s product were attacked, “but we estimate it was distributed to about 1 million people total.” Symantec telemetry showed 13,000 infections (80 percent of which were consumers, not organizations). The full scope of the attack has yet to be established. The attacker’s motive remains unclear, but Kaspersky noted that 600 MAC addresses were specifically targeted, even though the malicious update affected far more. 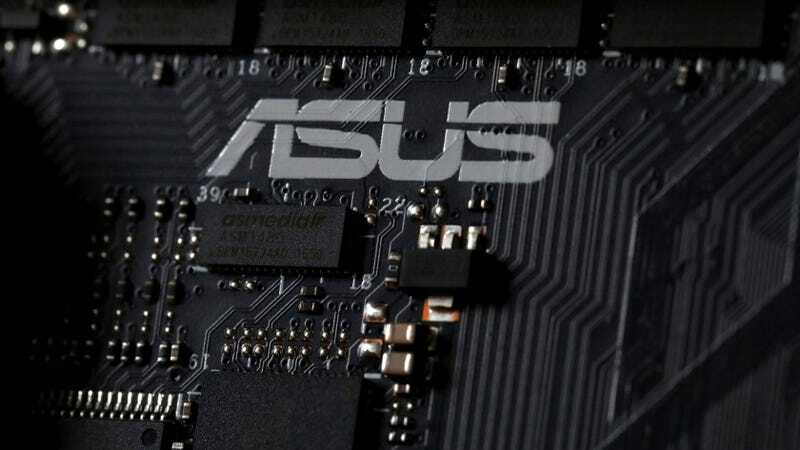 Gizmodo has reached out ASUS for a comment and we’ll update as soon as one is provided. Zetter said she first reached out to ASUS on Thursday but had yet to get a response. ShadowHammer is what’s known as a supply-chain attack—when hackers compromise targets by injecting malicious code into the hijacked software update of a third-party service. On average, businesses are far less suspicious of these updates because they’re deployed by vendors whose software is already trusted. Applying updates is also something IT professionals are told to do right away, as they routinely contain security patches intended to make a product safer. This form of transitive trust is becoming increasingly perilous due to an uptick in supply-chain attacks, as several end-of-2018 analyses on the evolving threat landscape described. Symantec, for example, found that supply-chain attacks had increased by 78 percent compared to the previous year. Notable incidents involved CCleaner, a widely used security clean up tool, and the notPetya attacks, in which a payload was injected into Ukrainian accounting software. “While investigating this attack, we found out that the same techniques were used against software from three other vendors. Of course, we have notified ASUS and other companies about the attack,” reported Kaspersky, which also advised anyone using the ASUS Live Update Utility to update it at once. A technical paper revealing more about ShadowHammer will be released, the company said, during the Kaspersky Security Analyst Summer next month. Next Article Samsung Galaxy S10 vs. Pixel 3: how do you choose?